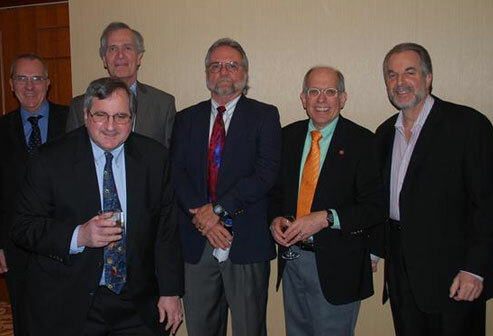 On November 29, 2018, Howard S. Marks, Beta Pi ’64, made a most welcome appearance at the Beta Pi Chapter House to the delight and enlightenment of the Beta Pi undergraduate members. Mr. Marks is the Co-Chairman and Co-Founder of Oaktree Capital Management, LP, founded in 1995 and today the world’s biggest distressed-debt investor. Under his leadership, the company has enjoyed unprecedented success and growth, culminating in a successful IPO. 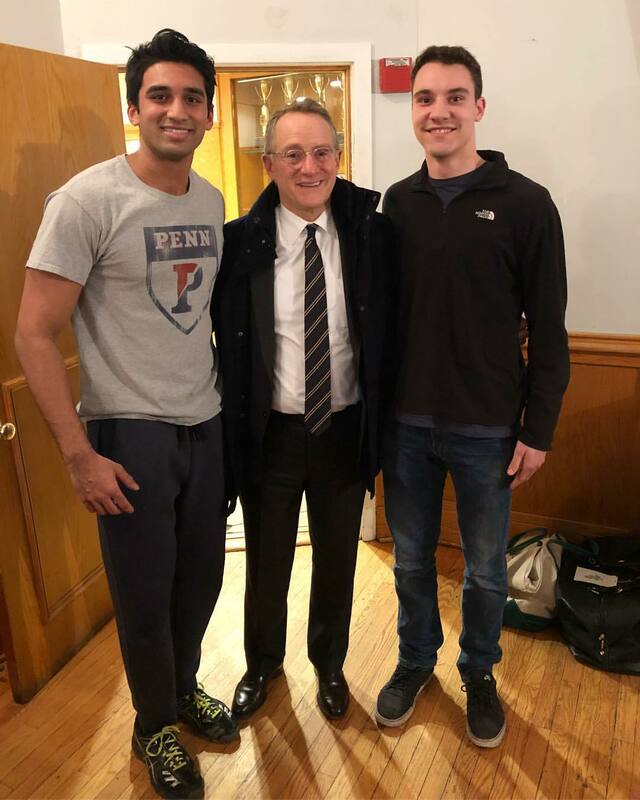 As a tribute to his proficiency as an investor, Penn looked to his expertise and chose him to guide the multi-billion dollar Penn Endowment Fund. From 2001-2010, Mr. Marks was chairman. Through his insight and skills, the Penn Endowment Fund fared much better than the other Ivy League endowment funds following the downturn in the stock market beginning in 2008. 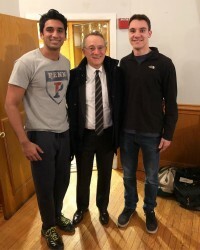 Mr. Marks, Wh’67, has a strong connection to Penn and has gifted Penn many times in the past. In 1992, he created the Howard S. Marks Terms Scholarship providing renewable scholarships to Penn undergraduates. In 2003, he and his wife, Nancy, endowed the Marks Family Writing Center at Penn. More recently, they have endowed the Howard Marks University Professorship in Behavioral Science, the Howard Marks Investor Speaker Series at Wharton, and the Howard Marks Professorship in Economic History. Despite the demands on his time, Mr. Marks maintains a relationship with Pi Kappa Alpha. As an undergraduate, Mr. Marks was an active member of Beta Pi all four years he attended Penn. He has fond memories of Pi Kappa Alpha and the original Chapter House at 3900 Locust Street. His last visit to Beta Pi was in 2014. On the date of his latest visit, Mr. Marks was on campus to give a guest lecture at Wharton. He followed this lecture with the visit to Beta Pi. Twenty-five undergraduate brothers were there to greet Mr. Marks and were enthralled by him as he spoke. He mentioned that he was also an author, having written Mastering the Market Cycle, a book that provides guidelines for investing in the stock market and explains how stock markets can be expected to react under various conditions. Those in attendance were deeply impressed by Mr. Marks’ qualifications and his life history. They felt he was able to convey to them an idea how to become better thinkers and investors. Joseph Churilla, Beta Pi ’17, found his visit to be “awesome” and later learned that Mr. Marks’ visit to the Pi Kappa Alpha Chapter House was “the talk of the campus”.